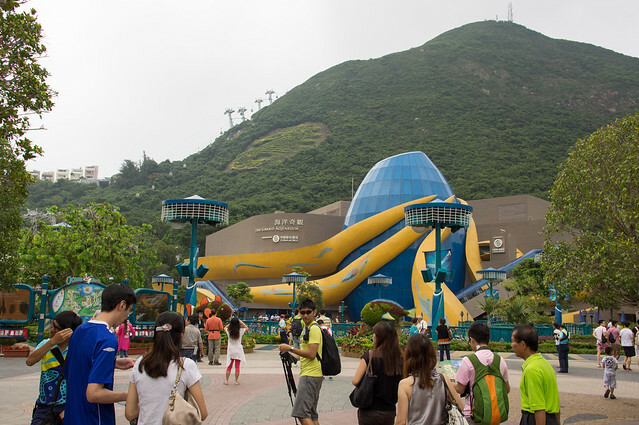 At the southern side of Hong Kong island is home to Ocean Park Hong Kong. 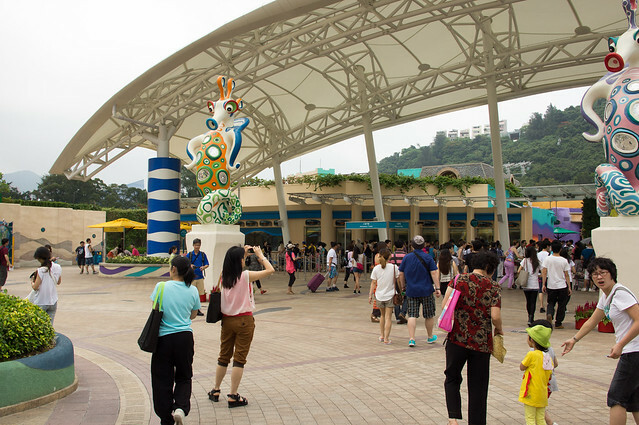 Set between beautiful hills away from the bustle of the city, the park offers a myriad of attractions for all ages. Be it impressive animal exhibits or exhilarating rides, Ocean Park offers it all – without a heavy price. 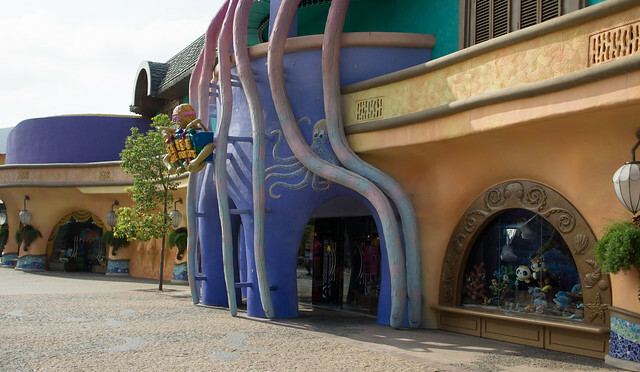 Despite being called Ocean Park, the theme park does not only focus on marine exhibits and aquarium displays. 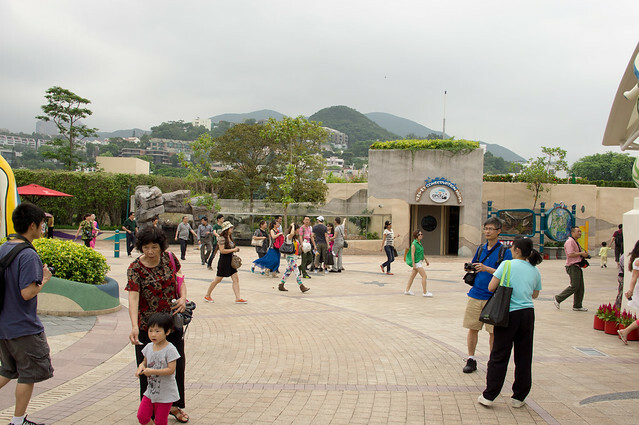 The park attempts to “connect people with nature”, through a diverse variety of educational animal exhibits and conservation initiatives. 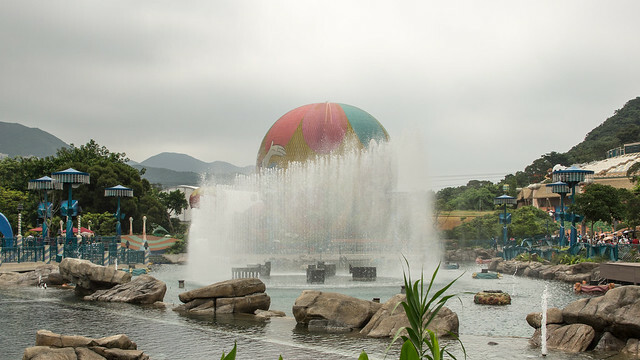 The park has constantly expanded and reinvented itself to compete with regional theme parks, as well as Hong Kong Disneyland. 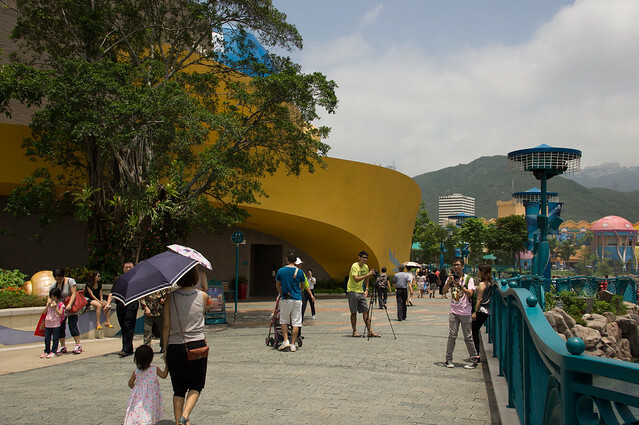 The current iteration is part of the Master Redevelopment Plan unveiled in 2005, which introduces new attractions and redeveloped zones. The park hardly looks like what I’ve seen several years ago. It’s almost like a completely new park! Due to the immense number of photos and content, this Ocean Park feature on dejiki.com will be split into multiple sections. Firstly, how to get to Ocean Park? 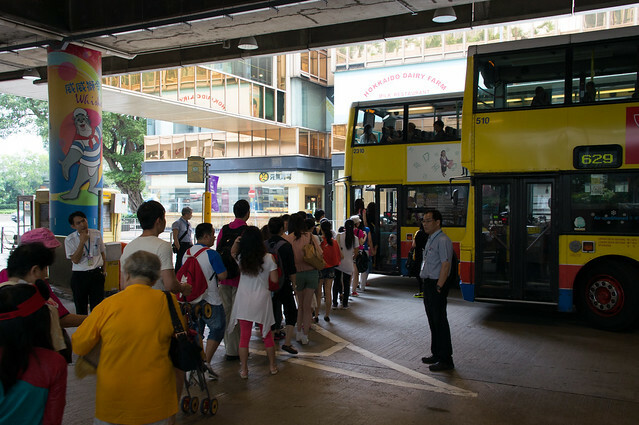 The recommended method (especially if you are not staying on Hong Kong Island), is to take MTR to Admiralty Station and head to the exit leading to the nearby Bus Terminal. Don’t worry, there’s ample signage to lead you to the right place. If you have not purchased tickets, there is a ticket shop (operated by MTR Corporation) at the MTR station underpass. It’s on the way to the bus terminal so you won’t miss it. 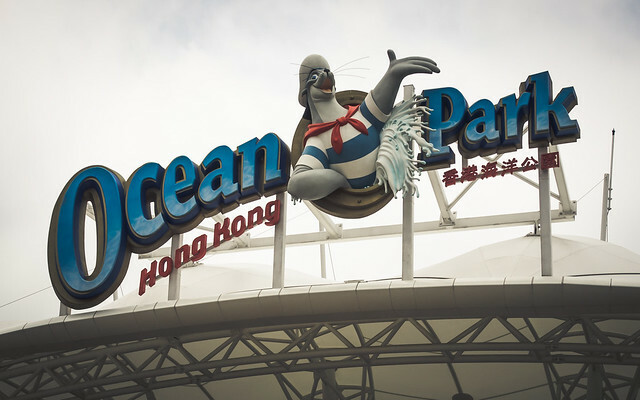 I would recommend that you purchase tickets here, the Ocean Park Ticketing Booth at the Bus Terminal or from travel agents found at some MTR stations. I do not recommend buying from touters or so called “best deal agents” walking around with clipboards and sloppy-looking signs at the Bus Terminal and Ocean Park entrance. The authenticity of those tickets are questionable and the park will NOT accept, nor be held responsible for any invalid tickets. Anyway, join the line and board Bus 629. 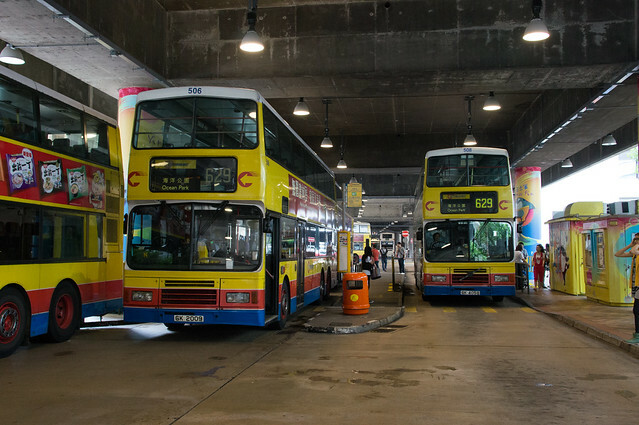 The bus ride is HK$10 one-way. You can board the bus back here from Ocean Park. After about 15 minutes, the bus finally reached Ocean Park! 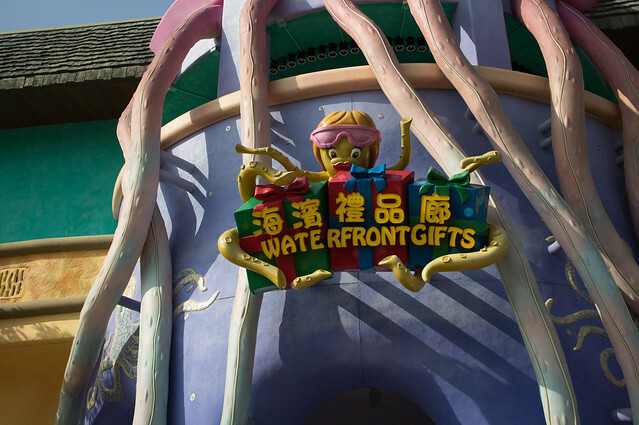 Okay, the Entrance Plaza is kinda… odd. Nothing amazing to take photos with here, so let’s move along. 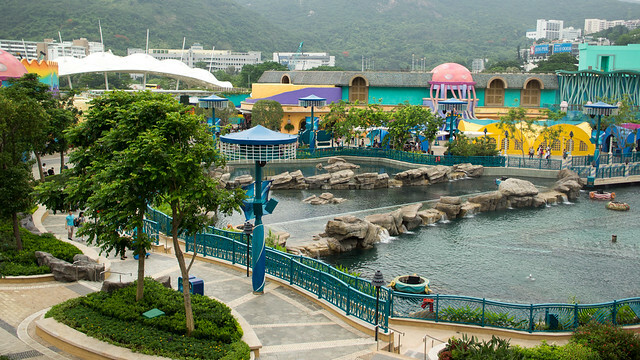 Right past the turnstiles: Aqua City. 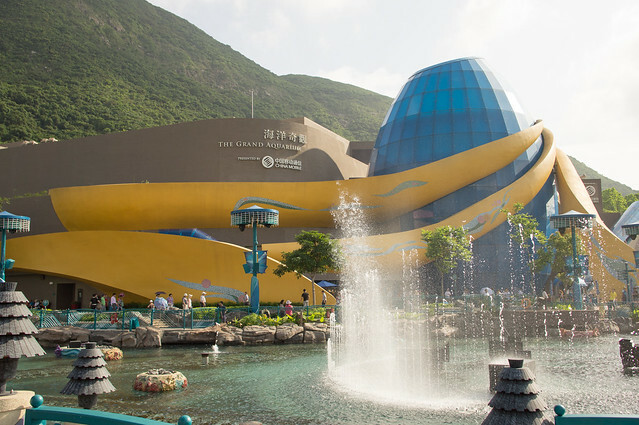 This new area has colourful buildings, a lagoon and of course, the star attraction: The Grand Aquarium. The Fountain just goes on and on the whole day. 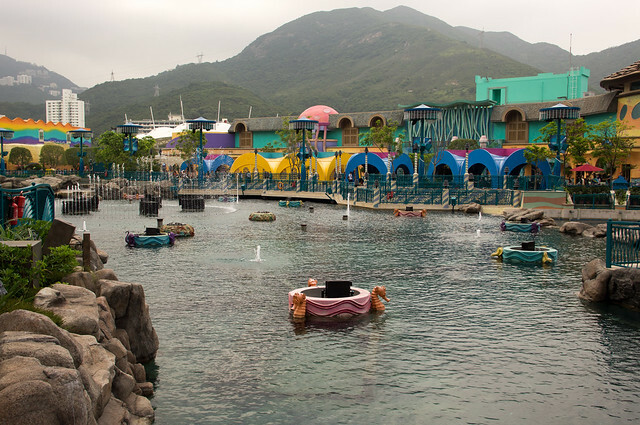 The Lagoon is pretty small, about half the size of Lake Hollywood at Universal Studios Singapore. It’s used for a night water show called Symbio. Despite being too colourful at some places (the colour blocking does get a bit annoying), there are generous amounts of architectural detail at the buildings here. Small touches like swirls, coral textures and embellishment of shell patterns. Let’s see what the shops look like inside. 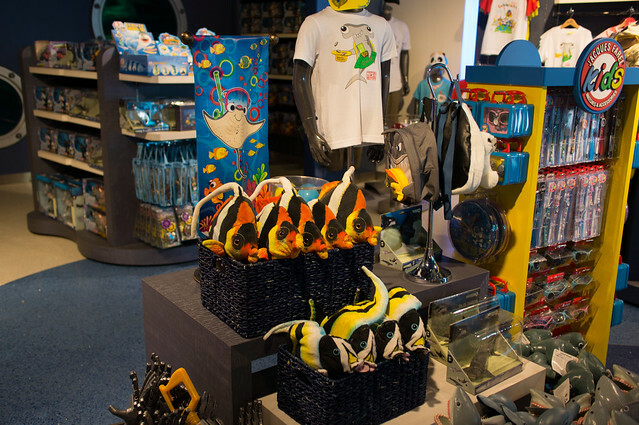 Once again, vibrant colours that young children would feel excited about. Despite that, the shops are well decorated, actually. 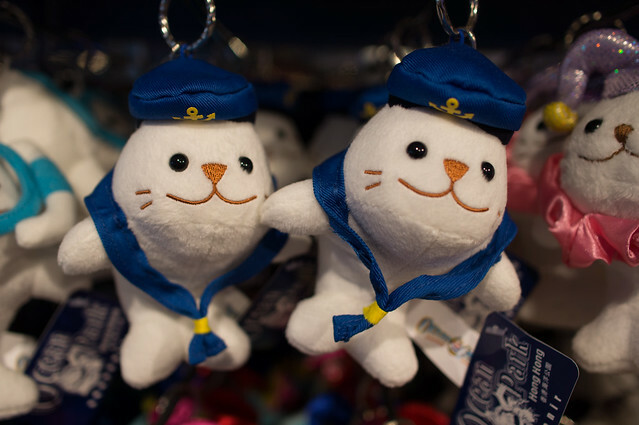 If it’s cute plush toys and key rings that make you go crazy, Deep Sea Traders (Shop at Grand Aquarium Exit) is an easier place to grab them. 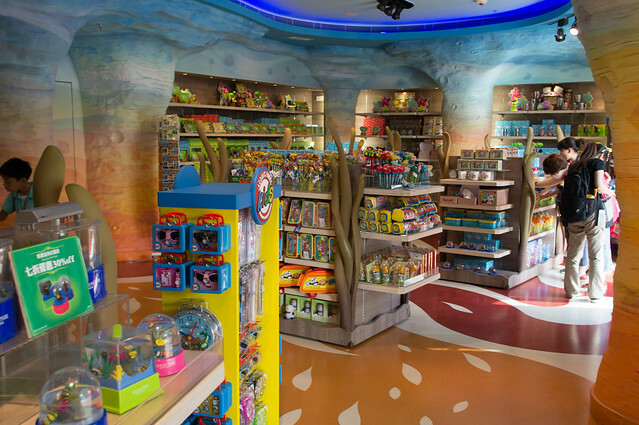 Just look at the shelves of toys here! 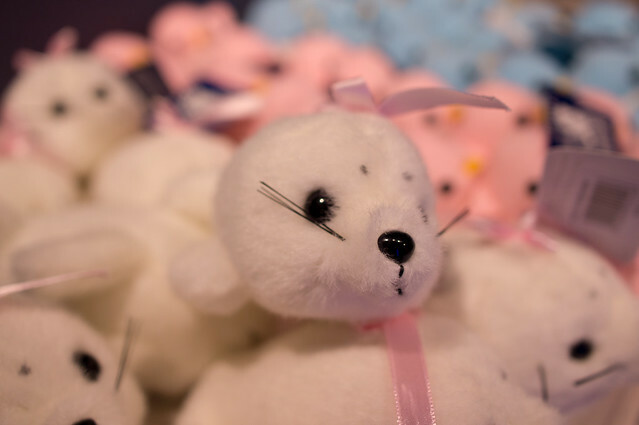 The small plush toys and key rings go for HK$50~70. Much cheaper than the rare McDonald’s Hello Kitty (Birdie) on eBay. Time to get the full collection! 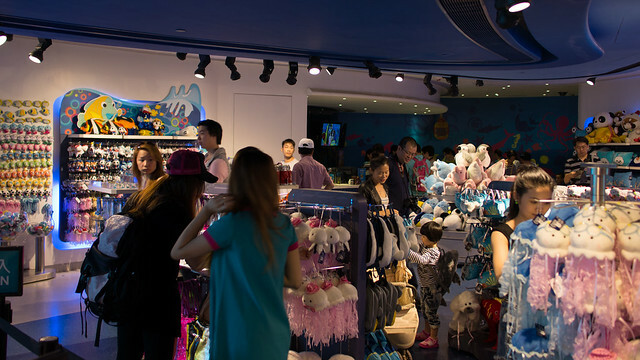 Apart from shops and restaurants, Aqua City sets the context from the Grand Aquarium. It’s a pretty relaxing zone – very breezy open areas and lots of benches here. I’m surprised Ocean Park has some rather odd park music choices. Believe it or not, I heard some tracks from the Assassin’s Creed series. 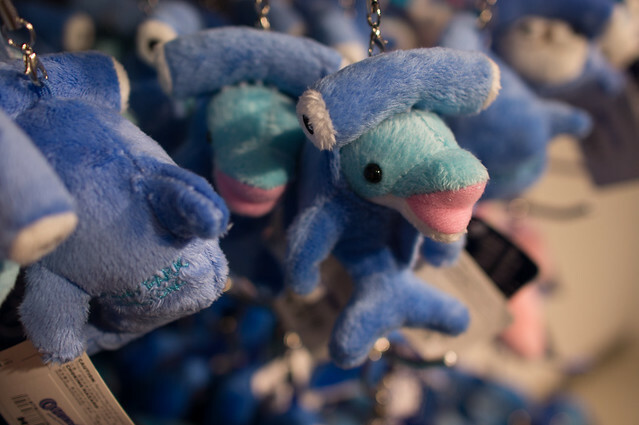 Stay tuned for the next update: A photo walkthrough inside the Grand Aquarium! It is truly surprising to see this…. 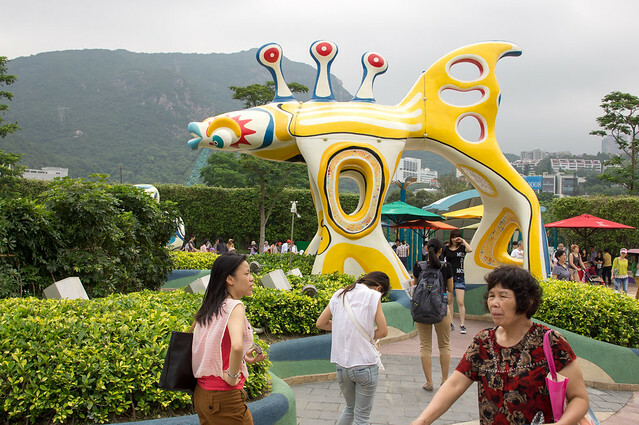 Have you been to Hong Kong recently? I can’t recognize the entrance of the park. I am not sure if it’s been redesigned or it’s just that I don’t remember it anymore…. Yes, I just returned from a trip last week. I visited the park many years ago (I can’t even remember when!) and it has been radically redesigned. I think only the areas with older rides at The Summit zones are very much the same. 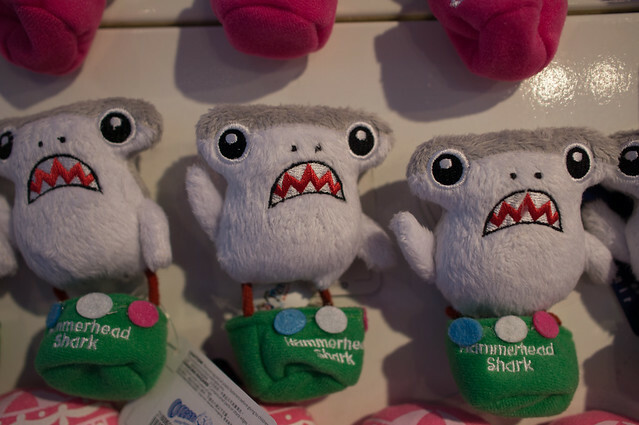 Stay tuned for the other entries on Ocean Park! But it seems that the reality is not as beautiful as the renderings…. I believe that only Disney parks are capable of bringing their concept art to reality.